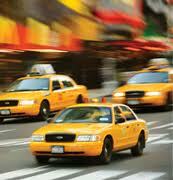 Here at Checker Cab, we go to great lengths to provide you with a safe and enjoyable travel experience. We have made it our mission to provide all of our customers with safe and dependable transportation. From our quick response time and licensed, professional drivers to our state-of-the-art vehicles fully equipped with GPSs, we guarantee you quality service. Our friendly and courteous drivers are dedicated to providing you with a quality ride and total customer satisfaction. Our fleet of vehicles are regularly serviced and our drivers are dependable. Call Checker Cab today at 813-229-1888 to make a reservation or browse our website to learn more about our transportation services. For questions and comments or to make an online reservation, please contact us.